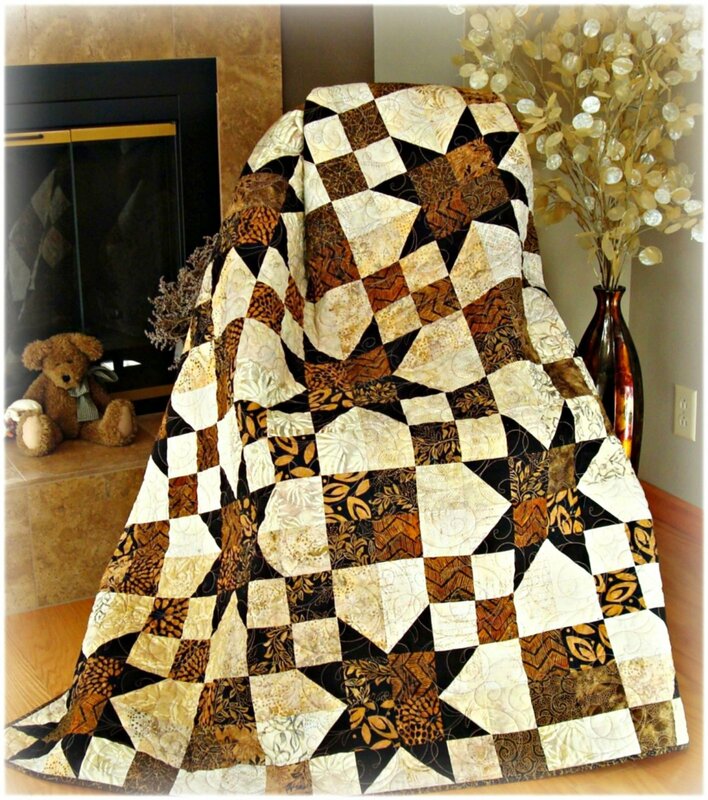 This quilt is made with fat quarters so you get a better variety of prints. Yardage, also included in the pattern if you prefer not to use fat quarters. Scraps also work well. Surprisingly, you don't make a star block. The stars are formed when you put the blocks together. This distributes the print fabrics for a very desirable scrappy look. Twin size: 60" x 84"
Queen size: 84" x 108"
King size: 108" x 108"